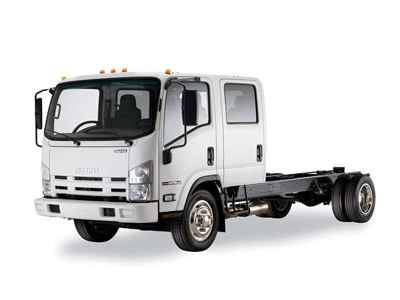 Japan's most versatile commercial vehicle is the Isuzu NPR. As the top selling chassis, any type of vehicle can be designed including delivery vehicles, sleeper cabs, service vehicles, tow trucks, and railway hi-rail conversions. There are no limits to what an Isuzu NPR can do. When your Isuzu needs repair or maintenance, see the commercial vehicle professionals at Precision Automotive Service. We will fix your vehicle quickly and properly, minimizing the downtime so you can get your moneymaker back on the road. For repairs or maintenance, we service all makes, models and years of Isuzu commercial vehicles. Your Isuzu NPR always received Isuzu original equipment or Isuzu-approved aftermarket parts and fluids. We know your Isuzu only makes money for your while it's being used on the road. Our ASE-Certified technicians will quickly and accurately diagnose and repair your Isuzu NPR, whether plagued by a fuel system problem, electrical issue, or steering issue. The professionals at Precision Automotive Service have you covered. Your Isuzu commercial vehicle requires regular maintenance to keep it operating trouble-free and efficiently. Our technicians are here to help you with that! Sacramento's home for Isuzu NPR maintenance and repair is Precision Automotive Service. Call us or schedule an appointment with our online request form today.